This system comes fire and acoustic performance certified, is demountable and relocatable. The standard finish of silver aluminum trims can be upgraded using tape jointing to give the appearance of a solid wall. It is suitable for most general office requirements, stairwell, board and meeting rooms and classrooms. Trims and skirting come in plastic or aluminum. 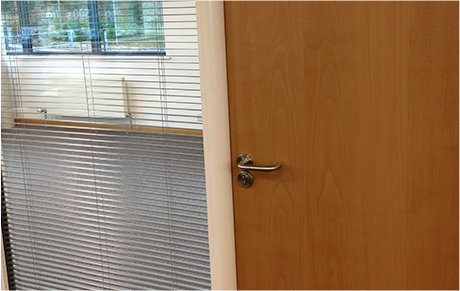 We can also offer RAL and BS colours to suit your environment. 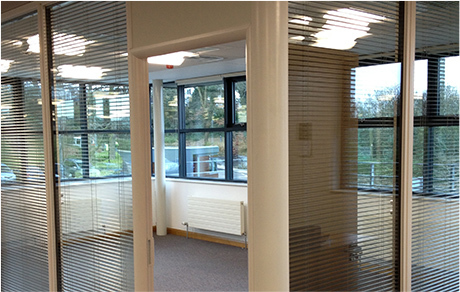 Glazing and integrated blinds can also be incorporated.